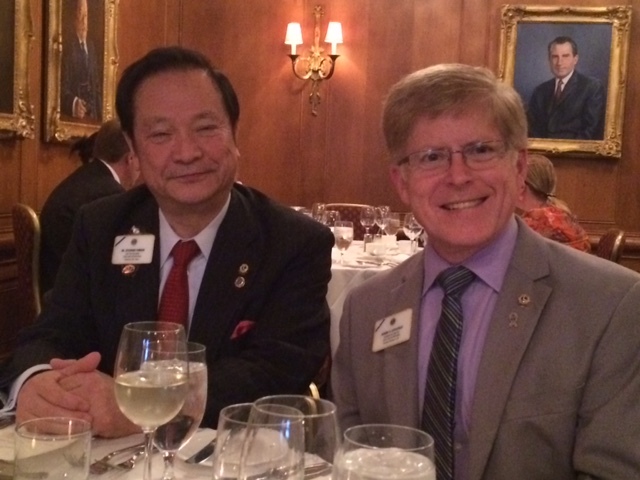 I had the opportunity to participate in Capitol Hill Day in Washington, D.C. on May 21st as part of a Lions Clubs International effort to inform and advocate on behalf of the Volunteer Organization Protection Act (VOPA), the inclusion of language supporting social emotional learning (SEL) in the Elementary and Secondary Education legislation moving through both houses of Congress, and the measles initiative sponsored by Lions Clubs International. On Wednesday, May 20th, Lion leaders gathered for in-service training to prepare us for meeting with our Representatives and Senators. We learned the difference between sharing our views and advocating for policies. The VOPA is an amendment to the Volunteer Protection Act signed into law by President Bill Clinton in 1997. The proposed VOPA will extend the same protection to organizations as the VPA provides to volunteers. 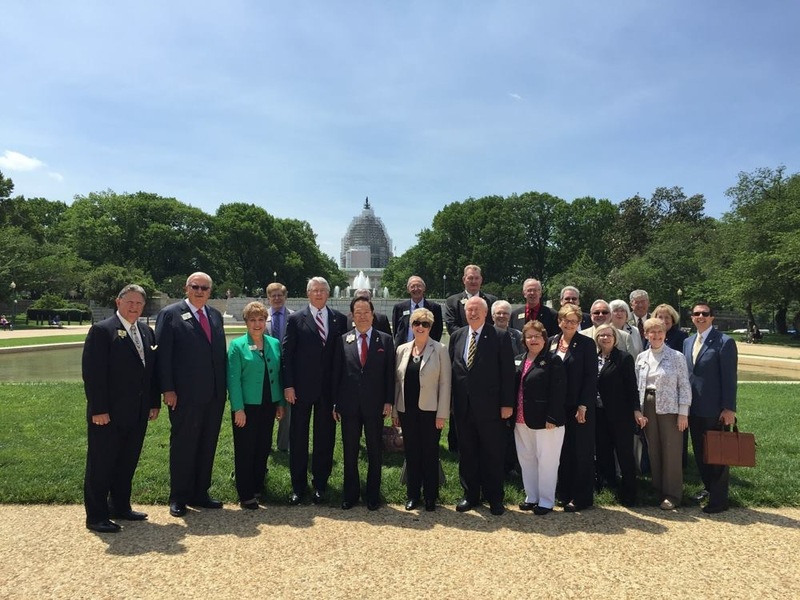 In this case, we were advocates encouraging our Congresspeople to sign on as co-sponsors in support of the VOPA. The current elementary and secondary education legislation includes language that supports social and emotional learning (SEL). For Lions, this means that the legislation supports the inclusion of curriculum that teaches anti-bullying, empowerment, and life skills necessary to live in society. We shared our views that we supported the inclusion of SEL because of the Lions QUEST curriculum that could be used by schools wanting to include such curriculum. Finally, we informed our Congresspeople about our efforts to promote vaccinations to control the measles virus. Congress is aware of the GAVI Foundation and its vaccination programs; and Lions are working to raise $15 million dollars to be matched by GAVI in order to save the lives of people around the world. This was the first time I was invited to participate in such an effort and it was really exciting. 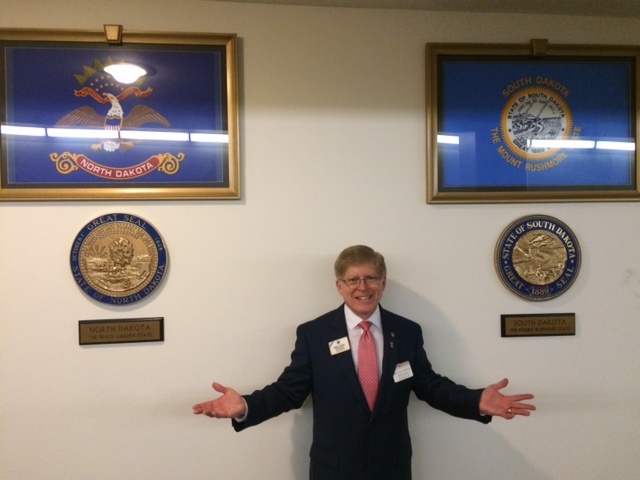 I had a chance to navigate the office buildings where our Senators and Representatives work. ID Robert finds the state flags and seals for North Dakota and South Dakota in an underground walkway between office buildings. 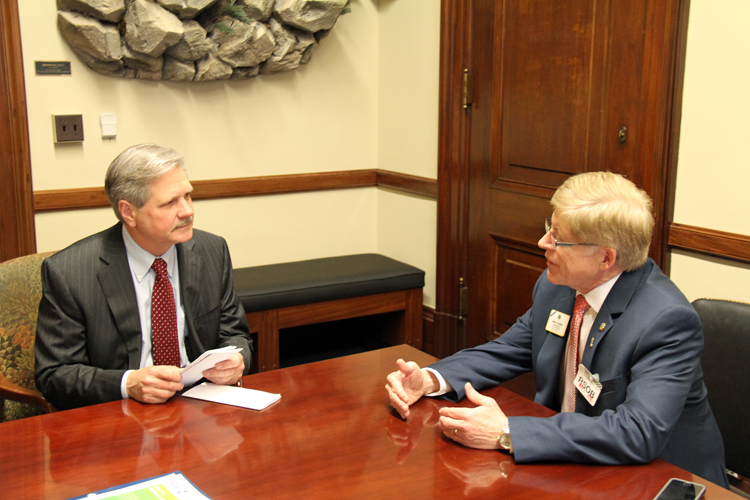 I met with Senator John Hoeven of ND and Representative Colin Peterson of Minnesota. 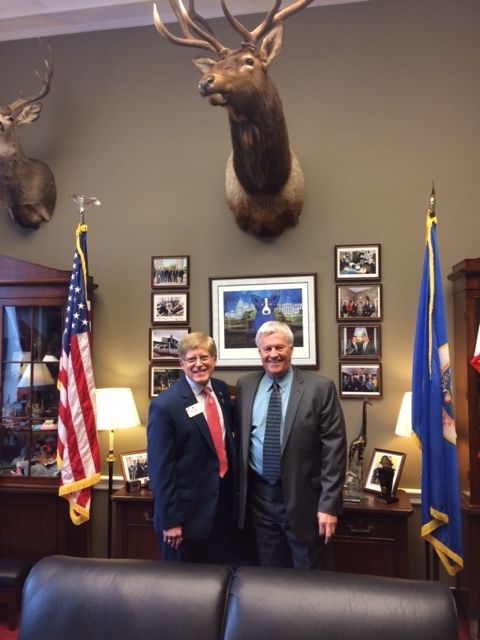 In addition, I met with one of Senator Heidi Heitkamp’s top aides because she was managing the trade bill on the floor of the Senate; and with the aides of Representative Kevin Cramer (ND) and Representative Tom Emmer (MN). Walking to dinner, we visited the the Memorial to Japanese-American Patriotism in World War II. According to sources, the monument designed by Davis Buckley and Japanese American artist Nina Akamu is located at Louisiana Avenue and D Street, Northwest, Washington, D.C. The memorial commemorates Japanese American war involvement, veterans and patriotism during World War II, as well as those held in Japanese American internment camps. 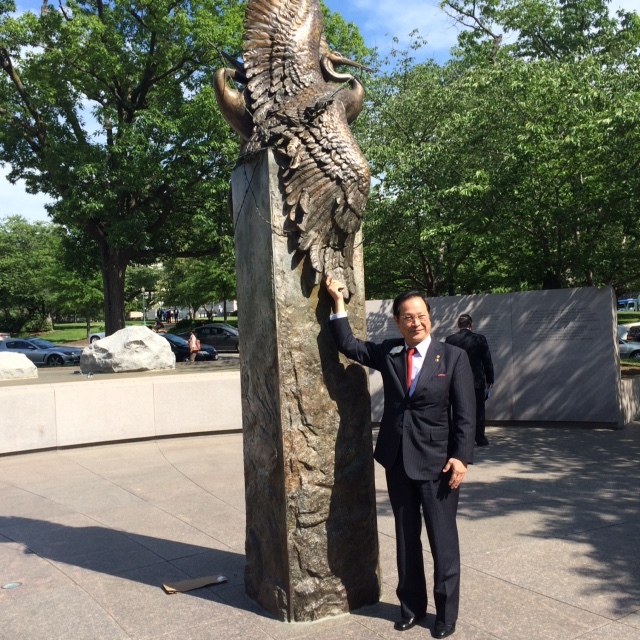 Dr. Yamada noticed that the crane was featured on the monument. He has adopted the white crane as one of the symbols for his presidency. It was a special moment for all of us who were with him. It was great to be in the company of other International Directors. ID Linda Tincher and Vern Tincher came from Indiana to participate. 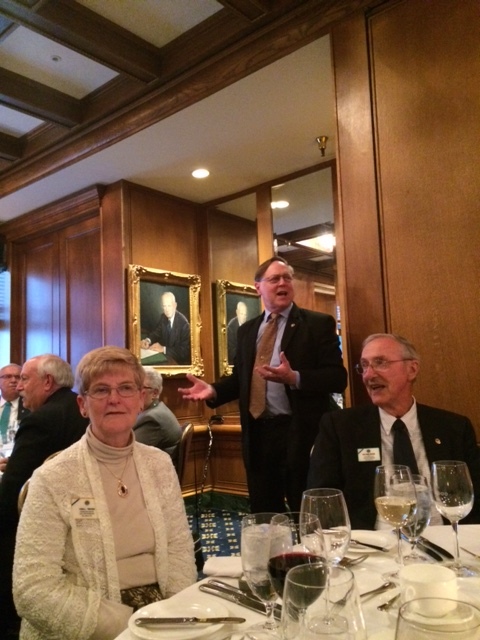 President Joe Preston praises the work of those participating in Capitol Hill Day (In the foreground are ID Linda and Vern Tincher). 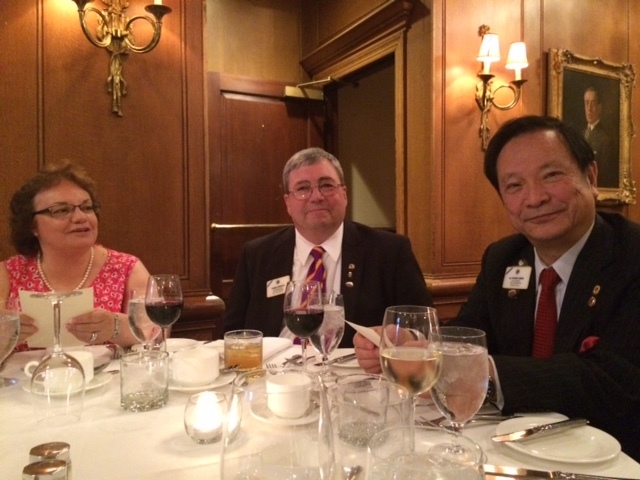 Another first-year director and spouse–ID Ed and Elaine Farrington–from New Hampshire joined with soon-to-be incoming President Dr. Yamada for dinner. I enjoyed having an opportunity to be with Dr. Yamada prior to the upcoming convention in Honolulu. He is very excited and optimistic about the future of Lions Clubs International and I know he will lead with dignity, harmony, and humanity. What was your feeling about the outcome of the legislation? How did our legislators lean?